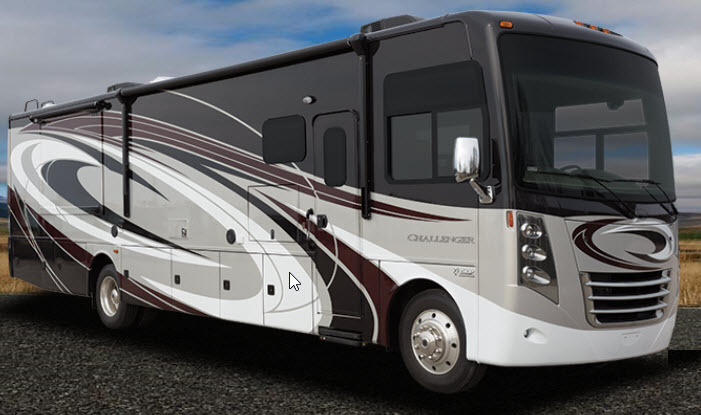 ELKHART, IND., Feb. 21, 2017 – Thor Motor Coach’s Challenger 37YT has the power and dependability to travel the country during summer vacation or year-round. The Challenger 37YT offers the perfect combination of luxury and functionality, starting in the living room with dual opposing slideouts. The expanding leatherette sofa, Always-In-View™ 40-inch LED TV with sound bar, and electric fireplace provide a great place for entertaining. 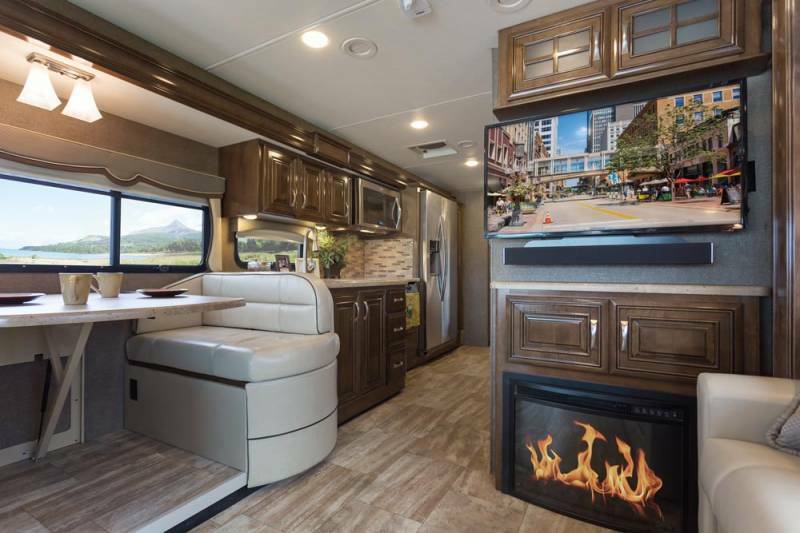 The Dream Dinette® booth is conveniently located campside, giving way to beautiful views and counter work space is not an issue with the solid surface countertop spanning the entire length of the kitchen. The 37YT provides plenty of storage, whether it’s in the Whirlpool® stainless steel refrigerator, the overhead cabinets or pull-out drawers. 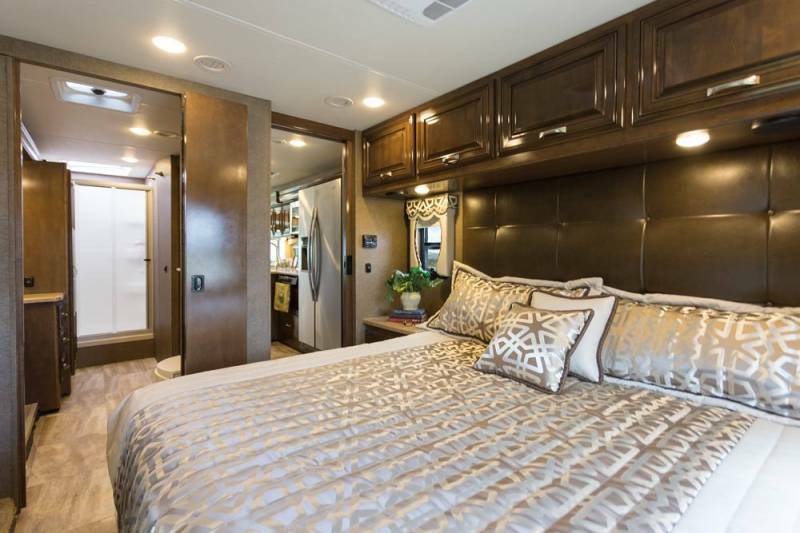 Adults will love the large master bedroom featuring a walk-around Denver Mattress® king size bed, multiple wardrobe closets and 32-inch television. The en-suite bathroom features a large shower with skylight and dual vanities with mirrored medicine cabinets above that sprawl the entire bathroom wall. 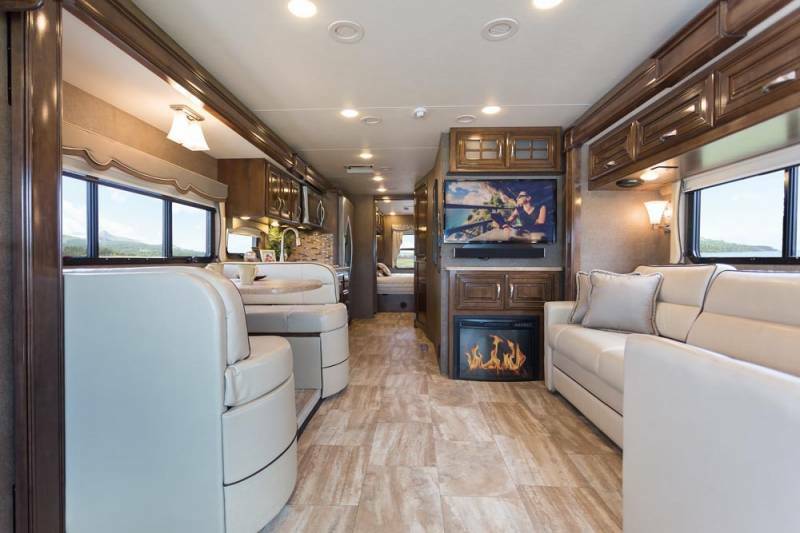 Built on the strong Ford® F53 motorhome chassis, the 37YT hosts a 6.8-liter V10 engine with 320 horsepower and 460 pounds-feet of torque, and a six-speed transmission which makes a huge difference while driving on the highway. A layer of neoprene within the foundation and synced drive shafts reduce vibration adding to the smooth ride. And with invisible paint protection on the front, aluminum wheels, and Sikkens® full-body paint packages, the Challenger will look great for years to come. 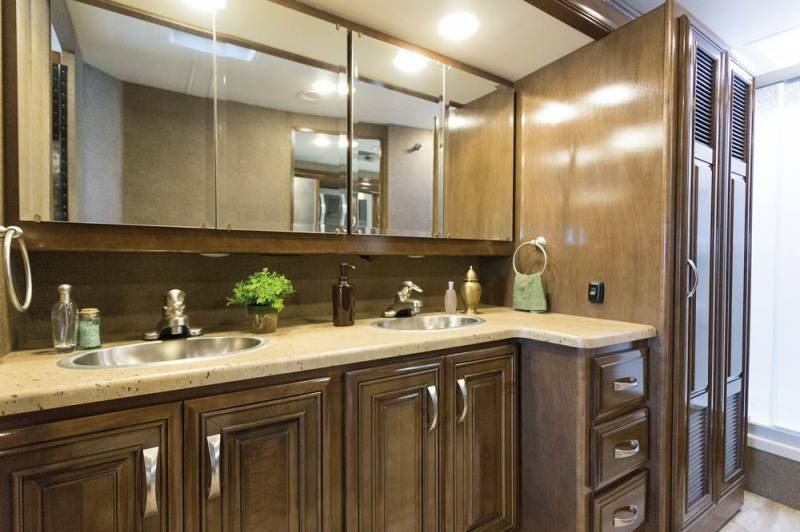 For more information on the 37YT floor plan, visit thormotorcoach.com/challenger.